Well met on Audiko.net! 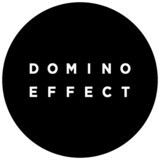 Here you can download a free Domino Effect ringtones for your iPhone or mobile. Specify your favorite piece from your favorite piece of music - A Lister - Listen Up, Ben Mono - No Lights, Neville Bartos - Heat It Up, or any other track. You are welcome to obtain your tone both in the MP3 and m4a formats, compatible with both mobile phones and iPhones. Just select a track, and choose free Domino Effect ringtones download option.